I know I said there'd likely be radio silence here on this blog while I'm at the 2013 ALA Annual Conference in Chicago, but I wanted to go ahead and share a link to a guest post of mine on the STAR_net Libraries blog. 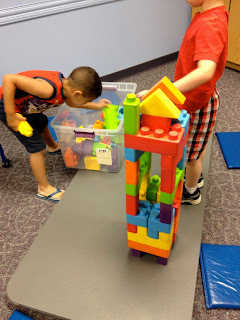 Head over there to read my take on starting a LEGO Club at your library--including tips updated from my original post on the topic on this blog. For the next week, I'll be in Chicago for the 2013 ALA Annual Conference. I've really been looking forward to everything on my schedule for the conference: poster and program sessions sure to share new ideas, my own presentations, Newbery Committee meetings, the exhibits... and, of course, spending time with old and new friends. I will be live-blogging from the conference over at the ALSC Blog along with a host of other terrific librarians who will be in Chicago. Can you not attend the conference, but you want to know what's going on from a youth services librarian perspective? Or, perhaps, you will be there, but you want to hear about sessions you couldn't cram into your schedule. Just head over to the ALSC Blog throughout the duration of the conference for insightful updates from attendees and to read about what's happening in Chicago. 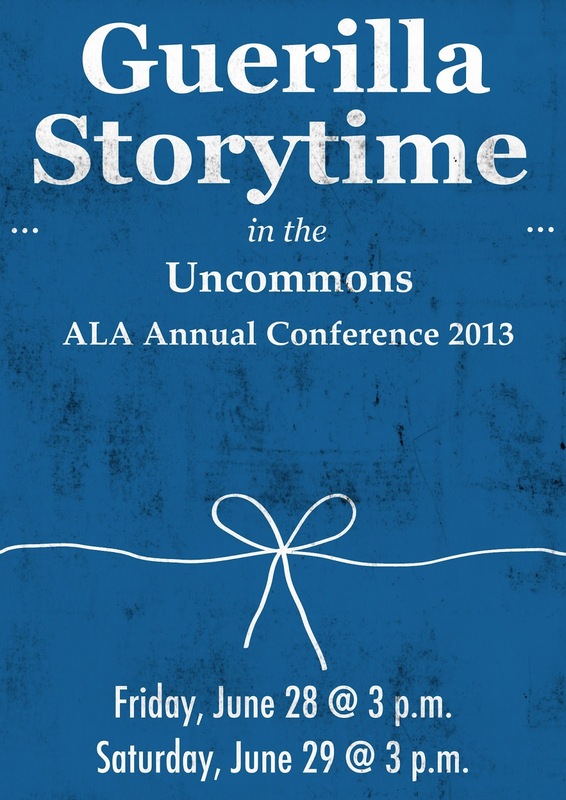 You can also follow the conference hashtag (#ala2013) on Twitter (and Facebook, too, I guess? Because that's a thing now). I probably won't be back on this blog until after the conference--all my blogging efforts will be focused on live-blogging at the ALSC Blog--but you can expect some recaps of the conference later next week when everything has had time to stew in my brain for a bit. Until then, happy conferencing! My colleague Angie introduced me to this book during my first month on the job, and I have loved it ever since. It's a brief, mostly-rhyming story of young Timothy Pope who, having just received a telescope, takes it to the park to look at things. What does he think he sees? A SHARK IN THE PARK! I like to encourage kiddos to use their own telescopes (hands in a telescope circle in front of one eye) as we read this clever book. The song cube indicated that we should sing "Grey Squirrel," and sing it we did--complete with swishing our bushy tails. I turned off the sound and used the read to me function of this app, which let me move through the pages at a pace that allowed the children and me to interact with what we were reading/seeing. The premise of this story is basic: the viewer can only see part of an illustration of an animal, and the words on the screen give hints to its name. This story pacing gave us plenty of time to talk about what we know about safari animals (giraffes, hippos, ostriches, lions), and we had fun making sounds and moving our bodies like the animals would. I mentioned to attending caregivers that this is an example of using technology in an interactive and educational way. This short song introduces the idea of dancing until the music stops, at which point everyone is meant to freeze. It's a great, short, wiggles-reducing musical interlude. I put together a kit of props for telling the folk tale "Stone Soup" that includes a bowl, a spoon, a stone, and cut-out pictures of various types of vegetables. I passed out the vegetables and spoon to children in the room, and together we made soup as I told the story. Because of the younger age range of my attendees, we dumped a bunch of veggies in the soup pot at once--attention wasn't going to last much longer. I'd use this story again with a slightly older audience. The kids insisted we roll the song cube again, and this song is what it landed on. Who am I to say "no" to a joyful request for a song? We finished the story time portion of our morning with this wonderful crazy-to-cool-down song. Try it if you're looking for a way to get kids moving without them turning totally bonkers at the end. Our menu included chocolate Teddy Grahams (much to everyone's delight) as well as 2% milk or water. These smaller cookies seem to have gone over the best of any of our cookies so far; I'll be sticking to the small bites concept in the future. I rolled back the partition to the other side of our meeting room to reveal four play stations: a science station (magnets, magnifying glasses, balance scale); a cars and garages station (all wooden toys); a concepts station (writing, colors, puzzles, counting); and a building station, which featured my branch's early literacy play kit for the month, chunky blocks. Four families stayed for a full half hour of play after the snack, and I was excited to see how many caregivers got down on the sit-upons at the stations to interact and play with their own children and the kids who approached them. 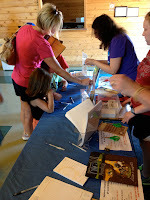 I also used this time to invite families to sign up for summer reading if they hadn't already. I got six new summer readers registered, which made me happy. I love that this program has a very simple level of input from the caregiver--just come to the library!--with a huge potential for return. Early literacy story time, information on media literacy, relaxing time to enjoy a small snack, productive play time...even summer reading. That's a lot of bang for zero bucks. My magnificent colleague Maggie Melson (she's a children's/teen librarian at another branch in my district) has been the YALSA representative to the USBBY--United States Board on Books for Young people--for the last year. One of her tasks has been to book wonderful and engaging children's and/or YA authors for major conference programs. The USBBY program at the 2013 ALA Annual Conference looks to be amazing, as Elizabeth Wein (award-winning author of Code Name Verity) will be headlining. As per the YALSA Blog, where Maggie shared details of the event, Wein will be giving a presentation titled “True Migration: Distance, Time, and the Writer’s Journey.” The talk looks at Wein's life (born in New York City, moved to England at the age of three, lived in Jamaica and then Pennsylvania) and questions how a lifetime of travel and living abroad have influenced both her worldview and her writing. She has lived in Scotland since the year 2000. The talk sounds fascinating. If you've got time free on Saturday, June 29, from 4:30-5:30 p.m., then I hope you'll add this session to your conference scheduler. Do you program for school-age children? Have you spent time considering the balance between exciting, engaging programs and the amount of preparation that goes into the planning of said programs? If you're interested in this topic--how to offer the best child- and literacy-centered programs possible while efficiently and effectively utilizing your staff time and resources--then I hope you will join Marge Loch-Wouters of Tiny Tips for Library Fun and me at ALA Annual in Chicago as we talk about Unprogramming: Recipes for School-Age Program Success. Marge, my partner in thoughtcrime, got the ball rolling on the initial Unprogramming conversation, and earlier this week she shared a gracious invitation for you--yes, YOU!--to join us as that conversation continues in Chicago. You have something valuable to add to this conversation. We'll be facilitating our Conversation Starter on Unprogramming on Monday, July 1, 2013, from 1:30-2:15 p.m., in room S102d of the McCormick Place Convention Center. 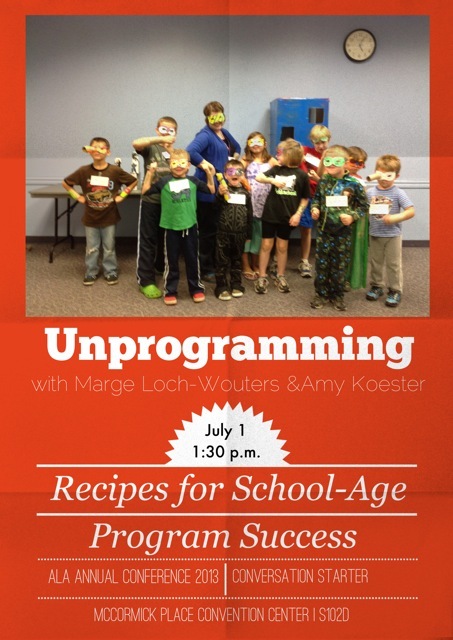 We hope you can join us and share your own thoughts on programming and program prep for kids. It's no secret that I love to talk about STEM and STEAM. Programs, activities, services... you name the aspect of library service, I want to mix in STEM. I'll have a chance to talk about adding STEM to existing storytime formats at the 2013 ALA Annual Conference in Chicago. 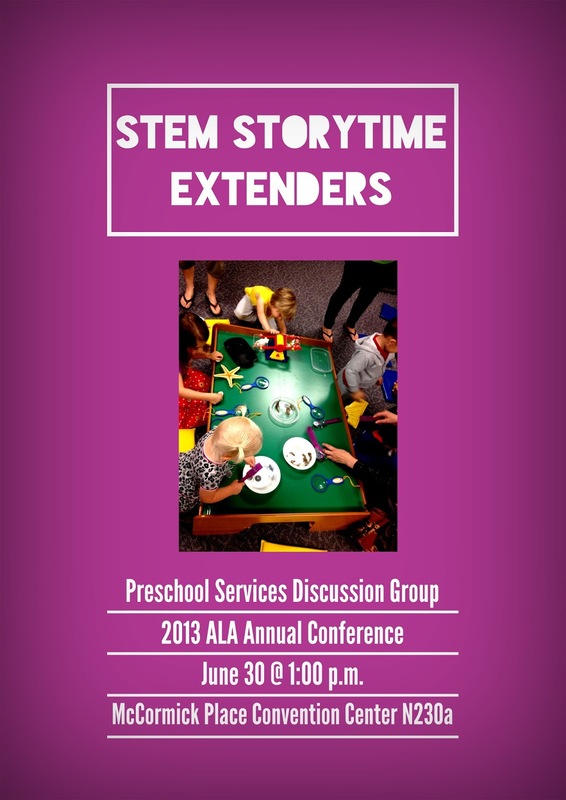 On Sunday, June 30, from 1:00-2:30 p.m., I'll be in room N230a of McCormick Place Convention Center with the Preschool Services Discussion Group. 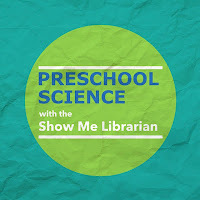 I'll be talking a bit about my preschool STEM philosophy as well as sharing what we've done at my library. Then the floor will be open for discussion--time for librarians of every ilk to share ideas, best practices, and words of wisdom on this topic. I really hope you can join me for this informal conversation with the Preschool Services Discussion Group. I cannot wait to hear what you all have been up to. 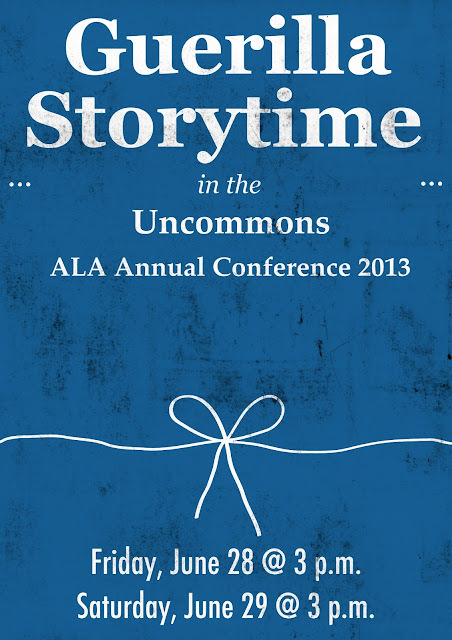 This year at the 2013 ALA Annual Conference, something really awesome will be going down in the Uncommons. On both Friday, June 28, and Saturday, June 29, at 3 p.m. sharp, anyone in the vicinity of the Uncommons will witness something terrific. Cory Eckert came up with the brilliant idea for Guerilla Storytime, which will serve two purposes: 1) allow youth services librarians to get new ideas and inspiration from peers; and 2) demonstrate to conference attendees who aren't youth services librarians that storytime isn't "just reading to kids." These Guerilla Storytimes will involve impromptu challenges and demonstrations as librarians get to show off their mad storytime skills. It will also involve lots of fun with new friends. I urge you to drop by the Uncommons at 3 p.m. on either Friday or Saturday of conference to watch--and hopefully participate in--this storytime that is so much more than storytime. 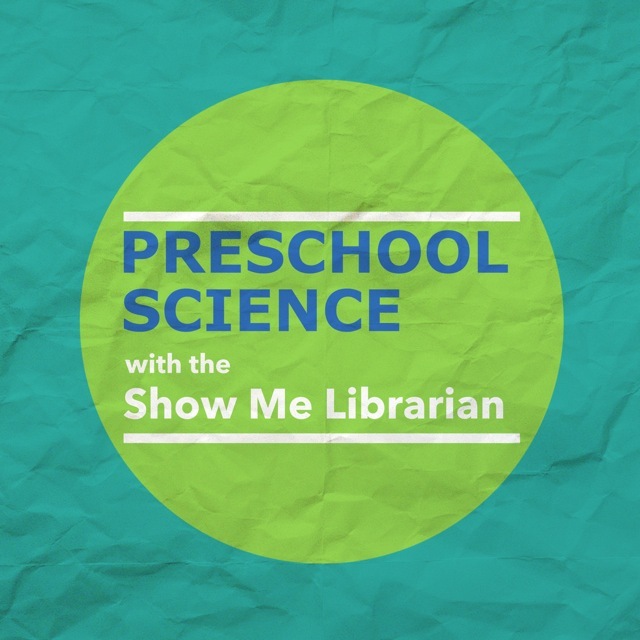 I'm over on the ALSC Blog today sharing the details of my recent Preschool Science program on the topic of water. Head over there to dive into a full program plan for exploring the science of water! The kiddos are familiar with this song because I sing it with them when I visit their child care centers. The familiarity of the song and motions gets them in the story time mindset. 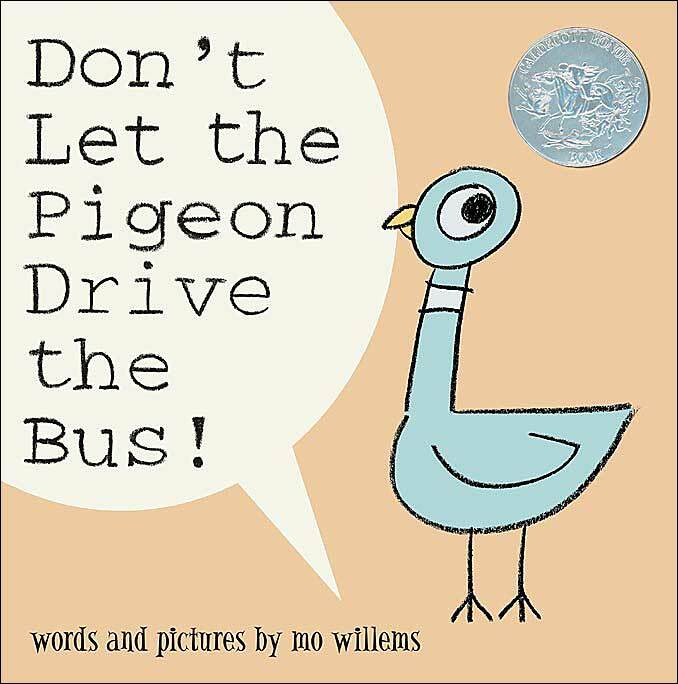 I love this story--it's great for preschool-aged children who are really getting into slightly longer stories. 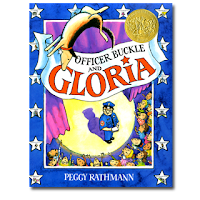 When I share Officer Buckle and Gloria, I point out the Caldecott Medal on the front cover. I explain what the award means, and I invite the children to pay extra close attention to the pictures as we share the story. Gloria's antics and Officer Buckle's obliviousness are always a hit. I brought out my Song Cube for this story time visit, and a roll of the cube decided that we would sing "If You're Happy and You Know It." Even though I usually sing this song with the kids at their child care centers, they never seem to tire of it. I love to share classic folk and fairy tales, and our minimally-decorated program room seems to be a perfect setting for doing so. There's nothing around the room to distract children from the book, so they pay great attention even when they are familiar with the story being told. 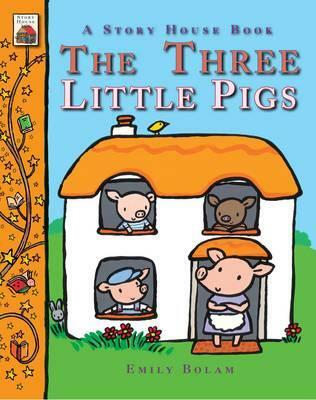 After we read this story, there was lots of discussion about which pig the children would rather be. We have lots of space to get up and move in our program room at the library, which means playing great movement songs on our CD player is a go-to choice for special story time visits. This "Silly Dance Contest" is a marvelous song that is easy for children to follow, and they have a good time getting some energy out in the middle of story time. 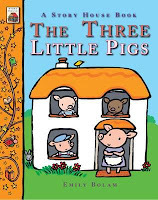 I introduce this story by saying the children need to help me with two things: 1) the names of animals, and 2) rhymes. 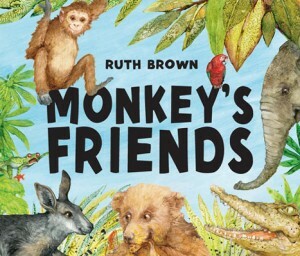 As Monkey moves through the jungle, he finds and greets a number of friends in the lushly-illustrated, lift-the-flap pages of this book. It's a short read, but definitely enjoyable. I finish all day care visits to the library with a brief guided tour of the library. I usually point out three things: 1) Picture Book City, where kids can come to find the types of books they like to read; 2) the awards section, where kids can find more Caldecott books as well as state award nominees; and 3) the check-out desk, where I mention the whole library-card-borrow-books-for-free setup. Our check-out desk is at the front of the branch, so ending tours there allows for a fluid, calm exit from the library for visiting groups. I'm always thrilled to hear after a visit how many kids say they'll come back to see me with mom or dad. I consider these types of visits a perfect time to make the library a comfortable, inviting place for children. What do you do when child care centers visit your library? When I started a Kids Advisory Board this spring, I decided that part of every monthly meeting would be dedicated to some sort of service project that would give back to the branch. 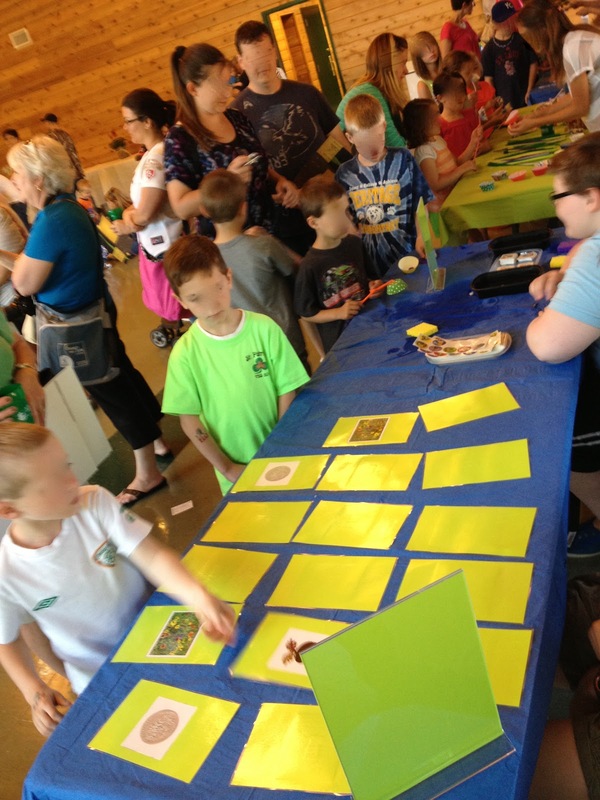 Last month, the kids helped create the memory game cards for our summer reading kick-off event. This month, our service project focused on readers' advisory--namely, kids making book recommendations for their peers. The idea for these Read Me! 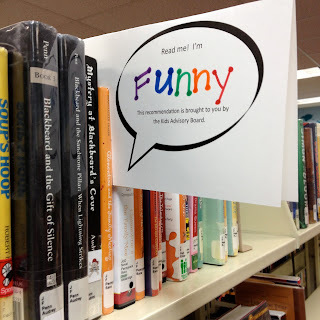 Blurb Bubbles came from a picture on a post on the RIF Blog earlier this year. 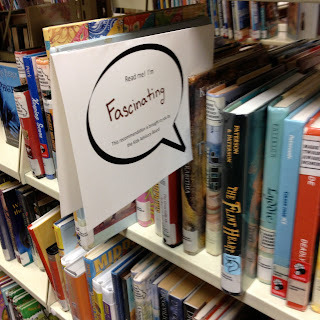 I loved the idea of having brief descriptors hanging off of books on the shelves, catching browsers' attention and giving them a nudge toward great reads. I modified the concept for our KAB. Using Publisher, I created a one-page template that, when folded, results in a two-sided blurb bubble. Each bubble is printed with the words "Read me! I'm [...] This recommendation is brought to you by the Kids Advisory Board." KAB members filled in the blank portion of the blurb bubbles with a word (or two) describing their favorite reads, then we attached the blurbs on the respective books. Some of the blurbed books in this first go-round include Clementine ("funny"), Bridge to Terabithia ("fascinating"), and The Graveyard Book ("spooky"). My hope is that these blurb bubbles will do two things: a) encourage young readers to try a book recommended by their peers, and b) pique curiosity about the Kids Advisory Board, which is still in its early stages. I'd love to have more regular KAB members, and I'd love to have more kids involved in making the stacks more exciting to browse. Do you get kids involved in passive readers' advisory? What are you strategies for facilitating peer recommendations? What do you read in your baby programs? There are lots of different ways to do programs for babies. I've shared my basic Bouncing Babies program format here on the blog, and while I usually stick to that format, I always look forward to hearing what some of the baby story time pros have to say. I know I can count on Melissa at Mel's Desk, Abby at Abby the Librarian, and Brooke at Reading with Red to share great ideas when it comes to baby programs, and they are always sources of inspiration for me. I also find it inspiring when I find new titles--or, at least, titles that are new to me--that absolutely scream "Share me at Bouncing Babies!" 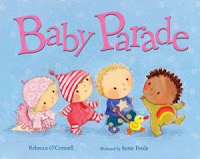 I found just such a book last week in Baby Parade by Rebecca O'Connell with wonderful illustrations by Susie Poole. I shared this title earlier this week in Bouncing Babies, and everyone got really into the book. It can be terrifically interactive for little ones, as it invites listeners to wave to the babies on parade. If there's one motor skill babies and toddlers seem to master early on, it's waving. Thus I found this book a perfect addition to my go-to Bouncing Babies favorite reads. And that got me thinking: what are your favorite books to read with babies in your baby programs? What have been your most successfully shared titles? My Bouncing Babies programs serve children from 1 through 23 months, so there's quite a developmental range there. Any tips on books I absolutely must get my hands on? If you'd like to contribute the name of a book or two that you like to share in your baby programs, please do so using the form below. I'll compile the responses into a post to be shared here, most likely after ALA Annual Conference at the end of this month. I've learned that a key word for summer story times is "flexibility." Attention span, energy level, tolerance for stories--I've found that all these things can be completely up in the air when the sun is bright and the weather hot. So I pack my story time bag with options in mind. During a daycare visit last week, I was reminded of the importance of simplicity, too. You see, while I had packed a specific story time plan with a variety of books and some other accoutrements, I immediately picked up on the vibe of my audience. These kids were feeling restless, easily distracted. It was time to just respond to them. In terms of books, that meant sharing straightforward, interactive favorites. 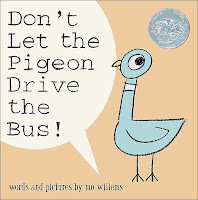 Think Don't Let the Pigeon Drive the Bus!, Go Away, Big Green Monster, and Can You Make a Scary Face? All three are great stories that allow kiddos to get involved in the action and response. Simplicity. Being flexible also meant that, when a train could be heard approaching, we paused our story. These kids can see the train tracks from their story time room, and they immediately ran to the window when they heard that train whistle. So we talked about trains for a few minutes until the train was gone and the kids were ready to sit back down. Flexibility. I had brought my orangutan puppet in my story time bag. In lieu of a more formal rhyme, I made one up on the spot that would allow us to do fun and silly primate actions: I'm an orangutan, hairy and brown / Let's *action here* and monkey around! The kids had fun suggesting actions--some realistic to orangutans, some not--and we chanted many verses of the short rhyme. Simplicity. For the musical portions of our story time, I had my ukulele. We sang one of the kids' favorites, "I Like to Eat Apples and Bananas." Then, instead of moving on to another story, they asked me to play more songs. They suggested songs ("Itsy Bitsy Spider," "Twinkle, Twinkle," and the like), I played them, and we all sang and danced. Flexibility. That's how we passed our 30 minutes of story time: simply and with flexibility of program content. I could have forced my formal story time plan, of course--and been met with whining, distracted hitting, and overall mayhem. Instead, we collaborated on an enjoyable, early literacy-positive story time adventure. Flexible and simple. And valuable. If you promote it, will they come? Many a public librarian has struggled with the topic of how to get kids from the local schools to participate in summer reading. We visit for summer reading rallies, hoping that our enthusiastic encouragements will inspire them to show up during the summer. Sometimes, however, that's not enough. Once kids are out of school, with no teacher or librarian to remind them to visit the public library, the whole premise of the public library's summer reading program can fall through the cracks. Principals are emphasizing to caregivers that student participation in the public library's summer reading program is strongly encouraged. A few local elementary schools sent home letters with this message, and they were signed by the principal. Several schools have planned rewards for students who bring their public library SRP logs back to school in the fall. And at least one local school is using their robo-calling service (typically used for delays and snow days) to remind all families to visit the public library. In return, we collect names and schools of all children who finish our program. We report these successful students' names to their schools in the fall. 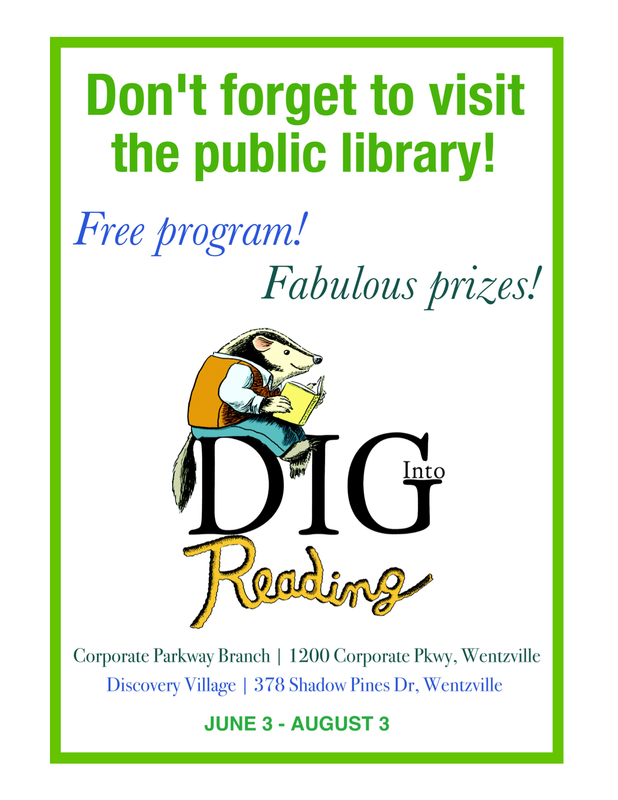 Reminders about the public library SRP will be handed out at open school library days this summer. A handful of elementary schools in our district are open to students one day each in June and July. One of the school librarians specifically asked me to create a simple flyer (pictured above) that she can give to attendees to remind them about our program. I included the addresses for the two nearest branch libraries, as many of these families haven't visited the public library before. School librarians have arranged to meet their students in our public library meeting room. This promotional strategy had a few hiccups in its initial occurence; we had booked the meeting room for the school librarians, but we didn't know ahead of time to arrange to have a staff member in the room with them to help with SRP sign-ups. After a bit of shuffling, our staff set up a makeshift SRP sign-up station in the meeting room to help the 75+ families that stopped in. 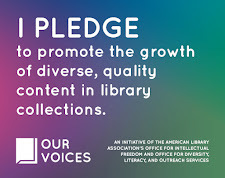 The school librarians had advertised that students who met them at the public library and signed up for our SRP would get bonus incentives at their school. Those are the three new strategies we're trying this summer with our local school district to encourage their students' participation in our SRP. I'm hoping both our sign-up and completion statistics see a jump because of these efforts. At any rate, if we can bring in even just a handful of new families to the library's SRP this summer, I'll count us successful. Do you take any intentional steps to get more students involved in your summer reading program? The beginning of summer reading is a pretty big deal. We emphasize the start date when we visit schools, and all the library signage and promotional materials clearly display the date on which families can start getting involved. As a result, we tend to get a TON of people who visit our branches on Summer Reading Day 1 because they're excited to start at the very first chance. What better reason to have a Summer Reading Kick-Off Party? Lots of libraries do it. The people are going to be there--why not make it as much fun and as big a deal as possible? That's precisely what we did earlier this week. Our big Summer Reading Kick-Off Party took place at a local county park--the same site as another fun program we've got going on this summer--on Monday afternoon. We had lots for kids and families to do during their visits. Starting at 3 p.m., we had a ribbon-cutting ceremony to formally open our library/parks partnership installation. That ribbon-cutting was complete with crazy-large scissors and a young frequent library program-goer doing the honors of snipping the ribbon. Lots of families took that opportunity to make the walk around the lake trail and read Peter Brown's The Curious Garden. 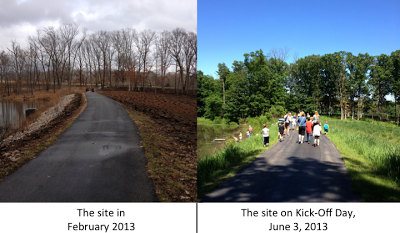 I love the comparison photo (below) that shows just how lush this park has become compared to when our partnership was in its earliest stages. Flower Craft -- Kids made flowers out of cupcake liners and pipe cleaners. Tree Cookie Necklace Craft -- Kids could decorate "tree cookies" made from slices of cedar trees and string them into necklaces. Cedar is invasive in this region, and while the park department needs to remove it from the parks, they save every bit they cut down and use it somehow. Summer Reading Tattoos and Stickers -- Kids love to wear reading tattoos and stickers. We don't mind the free promotion. The Curious Garden Memory Game -- The members of my library's Kids Advisory Board helped put together this big game of Memory (you may have grown up calling it Concentration). Kids had fun playing against one another and themselves. Dig into Science -- A dozen specimens from the lake trail--leaves, flowers, grasses--were available for closer inspection with the help of our magnifying glasses. Meet a St. Louis Lion -- This local soccer team is a summer reading prize sponsor--children and teen readers can earn free tickets to the games--so we were happy when they asked if they could be part of the Kick-Off Party. They talked to very excited kids and signed pictures. We also had two informational booths: one from the library, where kids, teens, and adults could all sign up for their respective summer reading programs as well as pick up summer event guides; and one from the parks department, where folks could get more information about goings-on at other county parks. We saw very brisk business at the summer reading signup table, with lots of families eager to get started reading together. Everyone couldn't help but smile when we reminded them that reading the book around the lake trail would count toward their reading goals! The last formal event we had at our Kick-Off Party was a concert from children's educators and entertainers WildHeart. This Emmy-winning duo shared 45 minutes of fun, silly, informational, and interactive songs for the families in the lodge. I saw lots of kids getting into dancing like amphibians and other creatures. After the concert, families finished up visiting the activity stations and the summer reading sign-up table. The crowd started to dissipate as we neared dinnertime, which provided a perfect opportunity for volunteers to get themselves signed up for summer reading. The final count of attendees at the Kick-Off Party was 493--a truly incredible success considering we've never offered an off-site event like this before. Our parks department partners were really thrilled with the event as well. The weather was gorgeous--a sunny 68 degrees, occasional clouds. The mood was bright and cheery. And the customers (all ages!) were enthusiastically enjoying themselves. I heard from many, many patrons who were very pleased with the event and expressed a hope that we'll do something similar in future years. I'm having a hard time thinking why we wouldn't. With all the hullabaloo that is summer reading, it can be easy for youth librarians to forget about anything else that happens in the summer months. The sun is shining! The weather is warm! It's a perfect time to wander about outside! Translation: It's a perfect time for a Picture Book Walk. 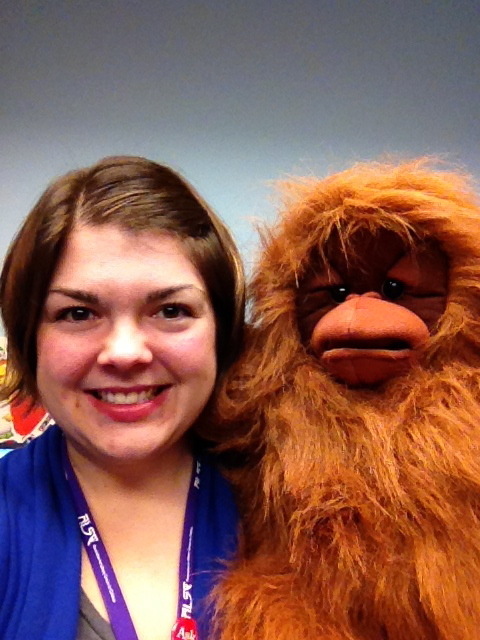 Around this time last year, Angela Reynolds shared her Nova Scotia library's StoryWalk™ on the ALSC Blog. The whole idea, I later learned, actually traces back to Anne Ferguson from Montpelier, VT, who came up with the first StoryWalk® in 2007. Since then, Anne has created a slew of resources for libraries with all sorts of funding situations to offer similar installations. The basic premise of a StoryWalk® immediately struck me as wonderfully boundary-breaking: a library/parks joint effort to give the community an opportunity to move and read outside. Brilliant! And so I started getting things in order to be able to offer a similar program in my community. Today, June 3, is the official start date of our Picture Book Walk at Quail Ridge Park. We have opted to call our installation a Picture Book Walk because we are focusing specifically on the picture book as a visual and literary art form; we want people to engage with the entire book. 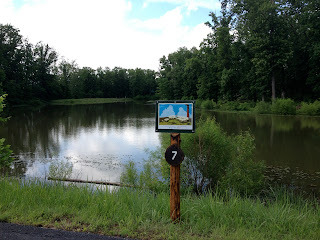 All summer long, we're featuring Peter Brown's The Curious Garden--a book that seemed perfect to be read and enjoyed in a natural setting--on rustic handmade cedar signs at a county park near my branch. Brown's beautiful story and illustrations are featured in 17 signs, enough for an introductory sign in addition to the 16 full-page spreads of the book. 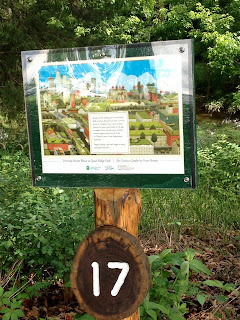 The signs are spread along a 0.75-mile long paved trail; it's fully accessible to wheelchairs, strollers, and walkers of every age. A person who walks the trail will be able to read the entire book surrounded by bright green foliage. The whole experience, minus any extra time for contemplating the beauty of nature, takes about 20 minutes. A reasonable and restful interlude for a summer's day. It promotes literacy and wellness for families in the community. Sharing a story and a stroll can feel luxurious, but it is simply healthful for mind and body. 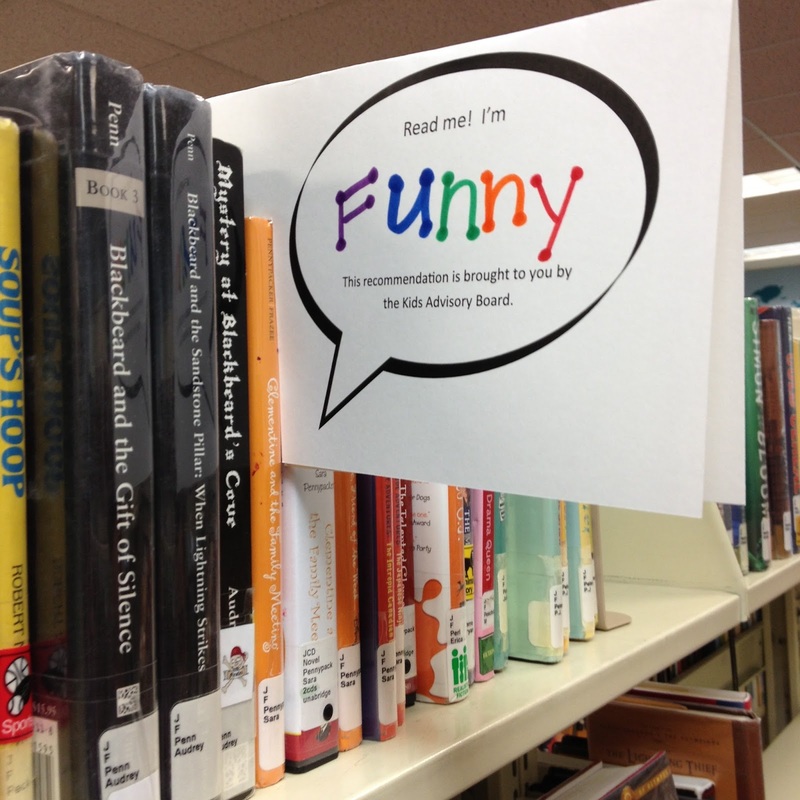 It allows the library to engage with a larger community than just those folks who already visit our branch. By offering a fun, family-friendly, and aesthetically lovely activity outside of the library, we're demonstrating that the library is truly a community treasure. We value the people we serve, whether we serve them directly or have yet to see them in a branch. We want their lives to be rich and interesting. We now have a partnership with our county parks department. This Picture Book Walk has truly been a joint effort, with the library and the parks department sharing ideas and tasks. The library procured permission from Little, Brown and Peter Brown to use the book; secured funding for the purchase of the sign post materials; and prepared the book pages for mounting. The parks department provided the location for the 3-month-long event; built the sign posts; and got the word out to media outlets across the metro St. Louis area. We both put in time and resources for a big ribboncutting and kick-off event (more details on that in a future post). As a result, we now have a working partnership. We know how to work together to get things done. The potential in this new relationship is vast. Summer reading has a new dimension. 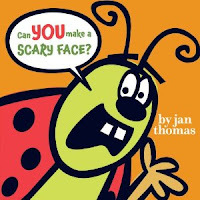 When reluctant readers complain about not knowing what they should read for summer reading, we can tell them about the Picture Book Walk at Quail Ridge Park. Enjoying the walk once counts as one step closer to meeting the summer reading goal for any age child. When the library is particularly busy and crammed full of people, we can offer the walk as an alternative for spending some time engaged in reading. It's an ultimate passive program. It's just beautiful. Really, isn't that sometimes sufficient? I am thrilled to be able to offer the people in our community the chance to engage in reading and nature with the first ever Picture Book Walk in Quail Ridge Park. If you find yourself anywhere near the St. Louis area between now and the end of August, please stop by. Curious for more details on how we got the walk up and running in the logistical sense? Here are some tidbits on what we did. Feel free to contact me if you'd like more specifics. I contacted Peter Brown and Little, Brown before Christmas to get initial approval to use The Curious Garden. Technically, if the library owns the book and the picture book walk is free, formal permission isn't necessary. I think it's always better to have it, though. The picture book pages that are mounted in the signs are physical pages from print copies of The Curious Garden. To get them walk-ready, I first took apart the binding and individual pages with the help of a colleague. Next I matched up the appropriate pages to maintain the order of the book; I attached them using book tape. I affixed the pages to matting with a walk footer on it (designed by my library district's graphic designer); this strip at the bottom of each spread includes logos for the library district, parks department, and library foundation, who funded the signs. Finally, I laminated the spreads to keep them weatherproof. The cedar sign posts are sturdily fixed in the ground. The display portion is painted plywood with a plexiglass cover. Weather stripping seals the top and sides of the display portion, leaving the bottom open so moisture can escape. The first and last signs, with the title page and final wordless two-page spread respectively, also feature some text from us, the organizers. An introductory statement explains the walk, and a closing paragraph encourages continued enjoyment of books and nature. Has your library offered a similar event? What stories have been most successful?